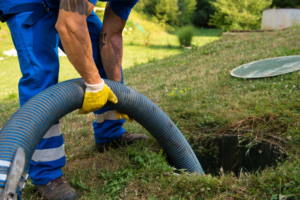 We have decades of experience in septic pumping, and we take great care in providing a great experience and customer satisfaction to all who use our sewer system service. Our sewer system service is available to all commercial owners and homeowners. A lot of homeowners do not remember their septic pumping system. Yes, the septic might sound yucky or even look disgusting to you. You think that you don’t need to spend money on it. You feel that pumping the septic system is expensive. But in reality, you get to save a lot of money in the long run. Your septic system lasts for longer, and you do not run into unexpected emergencies. A healthy septic system is often taken for granted, and a lot of homeowners do not appreciate this. Your septic system should be recommended every three to five years. You shouldn’t ignore it. New septic systems have warning alarms that that will tell you when your septic system is almost full. So, when you get any of the warning alarms, you should call us ASAP to prevent your plumbing system from failing and having poop in your yard. Septic tanks need to be pumped because they handle poop or human excreta. It’s important that your septic system is working perfectly and doesn’t smell at all. A septic tank should not be noticeable in any way. It should just do its work without you or any member of your family noticing it. A poorly maintained or full septic tank is harmful to your health. They smell a lot and could release phosphorus, nitrogen and harmful bacteria into your groundwater. This could affect your garden, pets and your family. Our sewer pumping services only cost a few hundred dollars. Replacing your entire sewer system will cost you as much as tens of thousands of dollars. So, you can see that pumping your sewer system regularly is far cheaper than leaving it unmaintained and having the entire system damaged. It’s smart to spend a few hundred dollars on your home which is usually the largest investment of most people. We offer prime sewer pumping and sewer maintenance services. Our septic system professionals can reliably pump your sewer at competitive rates. Our septic pumping service covers various locations like Waco, Willow Grove, Woodway, China Spring, Rock Creek etc. Even if you are not in those locations, you can still contact us. Contact us now, and we can help you with your septic and sewer problems. Our professional septic services will keep your sewer and septic system running perfectly. Our sewer installation services are carried out by a professional staff that is highly trained with years of experience. 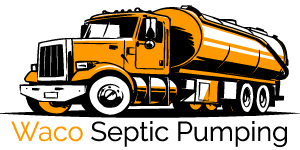 Our pump trucks are operated by professionals that can get septic tanks properly pumped. Contact us today for your septic tank pumping. We take great pride in the quality of our work and putting smiles on the faces of our customers. 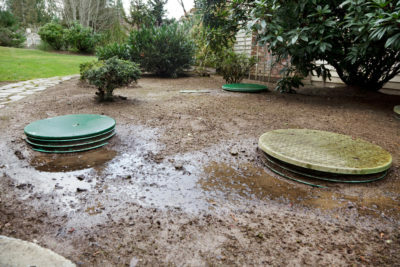 If you are a homeowner and you’re not connected to the city sewer system, you should know when your septic tank should be pumped. It is important that you maintain your septic tank regularly. It should not be ignored in any way. With inexpensive, timely maintenance, you can keep your septic tank working perfectly. You will also save tens of thousands of dollars that you would have spent on a new septic system. It is wiser and more prudent to spend a few hundred dollars now than, spend several thousands of dollars later. Don’t be penny-wise, dollar foolish. Septic tanks are easy to understand. They are designed to retain the solid waste from your household waste. Then the liquid component is dispersed back to the ground. Sewer pipes conduct waste away from the home. The sewer pipes connect into a single pipe that is connected to the septic tank. The wastes then start to separate when they get to the septic tank. Heavy solids or sludge will sink to the bottom while gray water or effluent will remain in the middle. Proteins, fats and oily substances will float to the top layer to form the scum layer. The gray water or effluent travels into the drain field or leach. When your septic tank is not properly maintained, the solids at the bottom of the tank starts to build up. As these solids build up, they will start to enter the pipes that lead to the drain field. When these happens, the heavy particles that are in the waste get trapped in the gravel of the drain field. The solids prevent absorption of liquids, and the septic system will fail. If your septic tank is regularly maintained, you may not need to replace it forever. 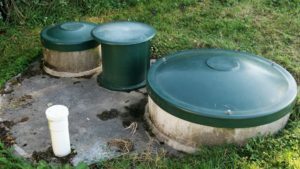 According to the Environmental Protection Agency (EPA), septic tanks should be inspected and maintained every three years. After your septic tank is inspected, the decision to pump it or not will then be taken. Most people have no idea about how to pump a septic tank, or they are not qualified enough to do it. Also, you need the right equipment too. It is best that you call a septic tank expert to do the maintenance and pumping for you. 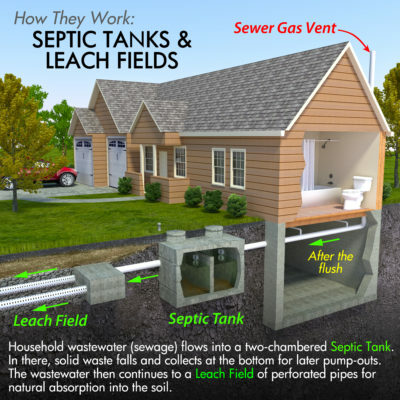 There are several ways by which a septic tank can get damaged but here are a few of them. 4. Fractures in the field line etc.